Can iBeacons improve health behaviors and attitudes? Apple recently announced iBeacons as a way to communicate with iOS devices in a predefined area using Bluetooth and they are showing the capabilities in their Apple Stores. Not to be confused with SMS, NFC, WiFi, and GPS marketing tools, groups like Macy's and MLB are testing its use right now. The more reliable methods of changing behaviors and attitudes using multimedia has been through text-based messaging (with email coming in second). The question is can people establish their own iBeacons in their own work and home environments to prompt health promoting changes? Adding in the function of determining sedentary time would be really helpful as well similar to the Gruve product with light indicating sedentary time and last time being physically active. It would be also great if the app that linked to the iBeacons would be able to promote available activities, exercises, healthy food choices nearby, and even relaxation, breathing, or posture improving stretches. When its cold and wet outside and before the ski hills open, why not get a little exercise and practice on this soon-to-be released arcade Super Alpine Racer exergame from Bandai Namco. While it won't be on par to the immersive exergaming experience and G-forces produced on the SkyTechSport Ski & Snowboard Simulator, I imagine the platform will definitely have some rocking and perhaps even vibration (vibrotactile) feedback to go along with a monstrous screen and some loud speakers for music and in-game sounds (swooshing). 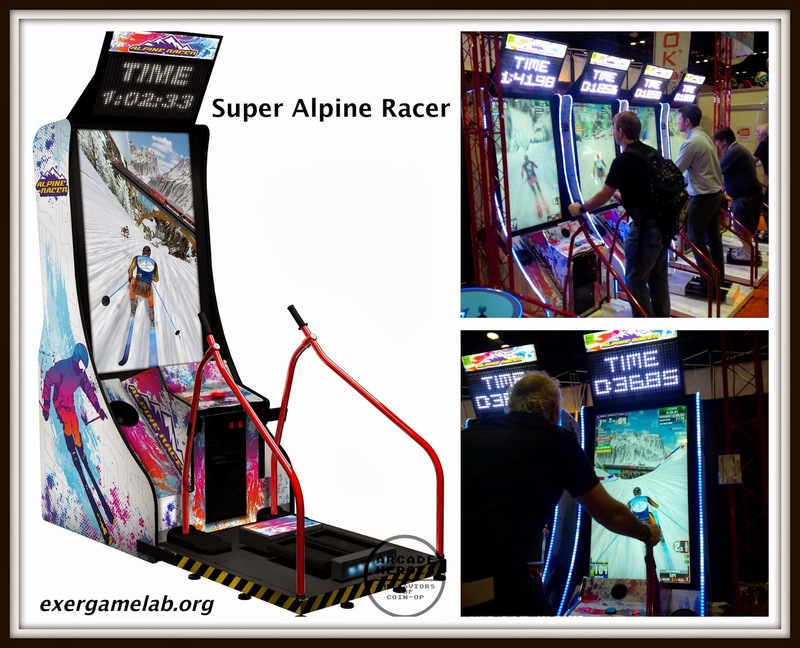 A HUGE "Hat Tip" to Kevin Stinger (Stinger Report) and Arcade Heroes for these great updates and photos from IAAPA 2013. Check out larger images and other details after the jump. 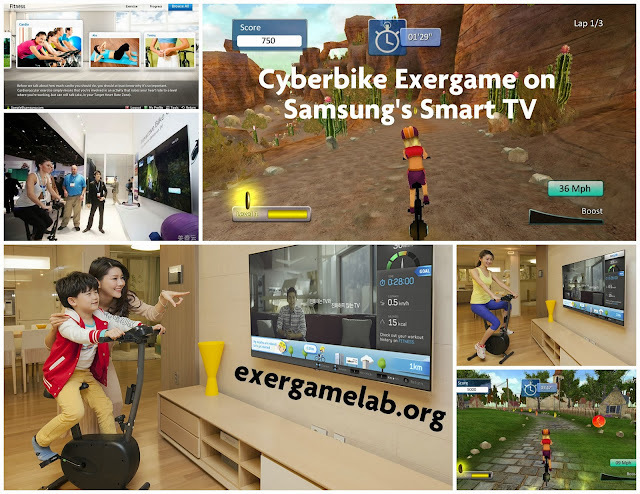 Exergaming at home just got a little easier with Cyberbike's Smart TV Edition that connects to Samsung's newest Smart TV. 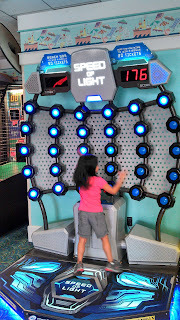 Although there are several VOD (Video on Demand) fitness channels (apps) already pre-loaded, this is the first wireless exergame we've seen to connect directly to a TV and not a game console. To find out more details about the bike and TV app click, please click through. Enjoy realistic Sochi 2014 skiing and snowboarding runs (without the cold weather) on the SkyTechSport Ski and Snowboard Simulator Exergame. It gives new meaning to pushing hard on the inside edge of your skis. You can even perform while wearing 3D glasses all while having the motors replicate the actual G forces through the gliding platform and optoelectronic sensors. Now all you need is a wind and snow machine! SkyTec Interactive designs and produces unique winter sports training equipment and virtual reality systems. Cutting edge alpine ski simulators and snowboard simulators by SkyTec Interactive allow skiers and snowboarders to experience the same G-force effects that they would in well-carved turns on a real slope. All products designed by SkyTec Interactive are globally patented. Click through to see some amazing footage and details on where you can find their latest installations. While not a skateboarding exergame like Tony Hawk's Ride, this new iOS app will allow skaters to learn or share (by uploading your own video) their tricks with their friends or anyone else in the world. It looks like they've added game features like community sharing, mastery, and badges (just watched awesome Google Talk by Sebastian Deterding called "Meaningful Play. 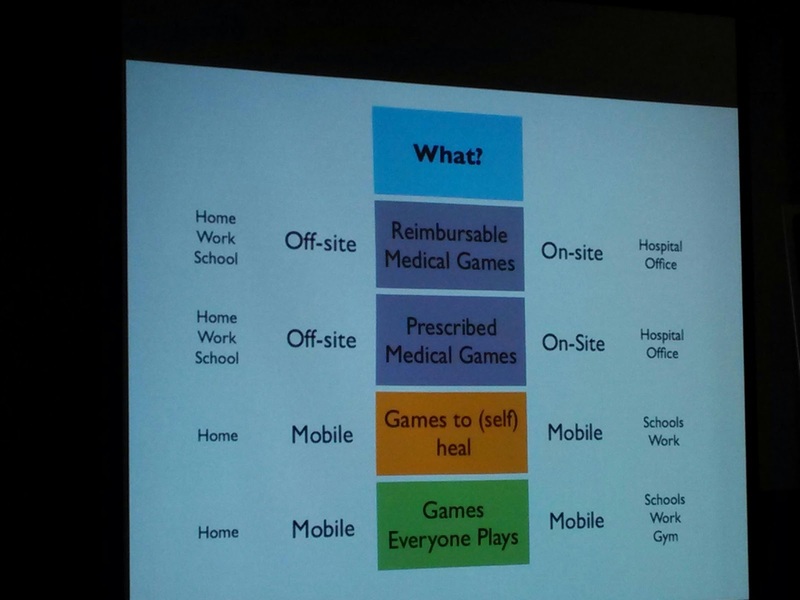 Getting »Gamification« Right") but not much else in terms of game mechanics, story lines, and community meaning. This is not to be confused with the exergame "Copy Paste Skate" from the Exertion Games Lab that combines infrared sensors, slow exposure photography and audio pickups to enable skaters to interact and see, hear your tricks. I wonder if there the Nike SB app tracks how long you are on your skateboard? Add a sensor (like Zepp or Babolat) that attaches to the skateboard to detect movement and tricks to give users different score and that also embeds into the video that is shared (velocity, torque, rotations/second, downward/upward forces, rotational velocity). Some of this data might even be instrumental in providing tutorials and "How-to" videos to learn how to perform certain tricks. Users that add more videos and provide feedback to other users would earn a higher place on leaderboards and community forums. Can a smart motion tracker improve your tennis, baseball. or golf swings? I recently ReTweeted about a new device (Zepp), sensor that will track your golf, tennis, or baseball swing and send information back to your mobile device. Then I remembered that I was sitting on a post about this other device (Babolat Play & Connect) and decided to put them together. Can these devices change sport as we know it or will they simply be another tool in which we can use to help us assess and measure performance? When combined with smart fabrics and other motion analyzers, this space is getting more occupied with data...but will practitioners be able to integrate all of these data points effectively? There are more and more devices that are helping track an athlete’s performance during training or competition. The Babolat Play & Connect interactive tennis racquet could help players avoid faults altogether. The racquet looks just like any other out there, but in the handle are sensors and electronics that can track performance. This can be downloaded afterward via USB or even streamed line via a wireless connection to a computer, tablet or smartphone for tracking of activity in real time. This is reportedly the first time that MEMS (Micro Electro-Mechanical Systems) technology has been built-in a tennis racquet, but something tells us this won’t be the last. And while this information could be used to help train, it can also be used by those watching the game as well. A prototype was shown off at the French Open, where the audience could get stats on shot type, power and consistency in real time. 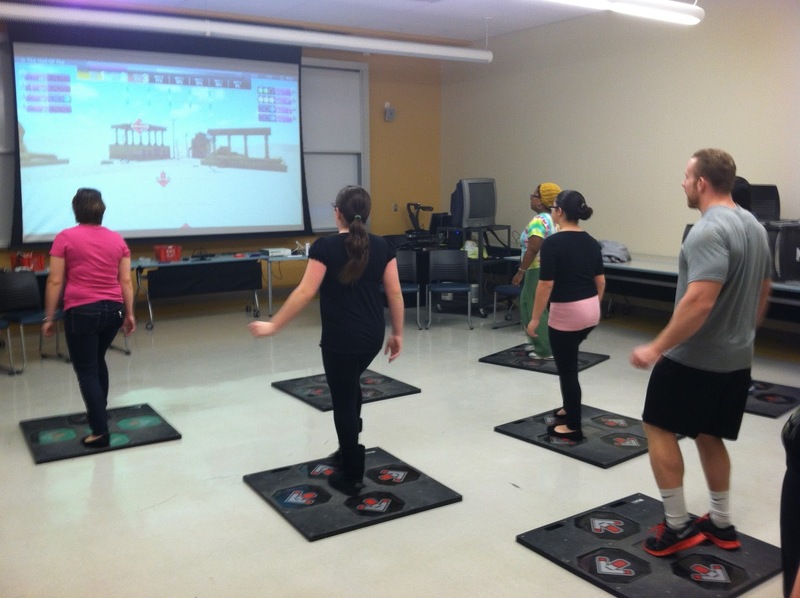 Having researchers add the category of active video games / exergames to the list of activities on the Compendium of Physical Activities and the current inclusion in the NYPANS survey are great steps into letting more people to understand their potential. I worry however that they have not considered other categories of exergaming or game platforms besides the ones listed. National data related to physical activity (PA) and nutrition among adolescents are needed to help develop effective obesity prevention programs. The 2010 National Youth Physical Activity and Nutrition Study (NYPANS) was conducted to provide nationally representative data on behaviors and behavioral correlates related to healthy eating and PA.
NYPANS used a three-stage cluster sample design to obtain data representative of public- and private-school students in grades 9 through 12 in the United States (n = 11,429). Students completed an anonymous, self-administered questionnaire in their classrooms during a regular class period. Trained data collectors directly measured the students' height and weight at school using a standard protocol. Analyses revealed that 19.0% of students were obese and 17.8% were overweight. Students participated in a range of physical activities during the 12 months before the survey; prevalence ranged from 5.0% for ice hockey to 83.9% for walking. In addition, 52.5% of students enjoyed the physical education classes they took at school. During the 7 days before the survey, 74.8% of students ate at least one meal or snack from a fast food restaurant, with black students more likely than white and Hispanic students to have done so. Forty-one percent of students always or most of the time have a TV on while eating dinner at home. These and other NYPANS results can be used to develop obesity prevention programs that address specific behaviors and behavioral correlates, and target subgroups in which behaviors and behavioral correlates related to obesity are most prevalent. Numerous interventions have been proposed to improve balance in older adults with varying degrees of success. A novel approach may be to use an off-the-shelf video game system utilizing real-time force feedback to train older adults. The purpose of this study is to investigate the feasibility of using Nintendo’s Wii Fit for training to improve clinical measures of balance in older adults and to retain the improvements after a period of time. Twelve healthy older adults (aged >70 years) were randomly divided into two groups. The experimental group completed training using Nintendo’s Wii Fit game three times a week for 3 weeks while the control group continued with normal activities. Four clinical measures of balance were assessed before training, 1 week after training, and 1 month after training: Berg Balance Scale (BBS), Fullerton Advanced Balance (FAB) scale, Functional Reach (FR), and Timed Up and Go (TUG). Friedman two-way analysis of variance by ranks was conducted on the control and experimental group to determine if training using the Wii Balance Board with Wii Fit had an influence on clinical measures of balance. Nine older adults completed the study (experimental group n = 4, control group n = 5). The experimental group significantly increased their BBS after training while the control group did not. There was no significant change for either group with FAB, FR, and TUG. Balance training with Nintendo’s Wii Fit may be a novel way for older adults to improve balance as measured by the BBS. The buzz on the street is all about customization and in the learning world we call it differentiated learning, in the games world it's customization, in the accessibility world it's usability and customization...either way you shake it, it comes out better for the user. If you could design an exergame or improve an existing one, what features would you add to make it even more awesome? Who will be the virtual apothecary? What are the market indicators and conditions that will help drive games development and larger market growth. Its been an awesome start to the GFH Conference with an incredible line-up of speakers, attendees, and exhibitors. With generous support of the Entertainment Software Foundation we are now bringing you two-days of two tracks of Games for Health Conference. To access these streams live and in archived form. Tweets about "#ghf13" Click here to explore more of ExerGame Lab's archived posts involving research studies. 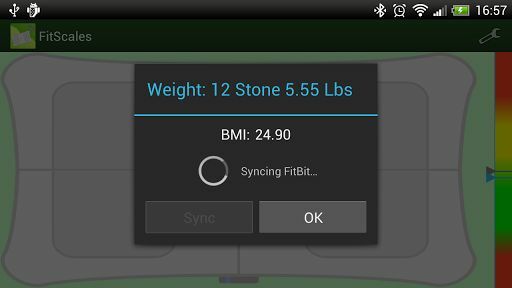 Spotted on GigaOm (Free Android app turns Nintendo Wii Fit board into a smart scale), FitScales "uses the available APIs to send your weight data to either your FitBit (see disclosure) or RunKeeper account, just like a traditional web-connected scale would do." Now I know this is not an exergame, but it does use a sensor that is an exergame. Who's to say that now that they're paired that someone can write an app that allows you to play games while using the board on a mobile device or OUYA gaming console. Might we finally see a greater crescendo of movement based games? Active video games (AVGs) are being marketed as exercise tools. AVG play can result in light-to-moderate intensity physical activity. A comparison correcting for body size between the energy expended by children with obesity and those of a healthy weight playing AVGs. An examination of several variables related to the energy cost of AVG play including steps taken and rate of perceived exertion. There may be some differences in how children with obesity and children of a healthy weight play AVGs. Increasing physical activity and reducing sedentary behaviour form a large part of the treatment of paediatric obesity. However, many children today spend prolonged periods of time playing sedentary video games. Active video games (AVGs) represent a novel and child friendly form of physical activity. To measure the energy cost of playing two AVGs in children with obesity and healthy age- and gender-matched children. The energy cost of gaming and heart rates achieved during gaming conditions were compared between groups. AVG play can result in light-to-moderate intensity physical activity (2.7–5.4 metabolic equivalents). When corrected for fat-free mass those with obesity expended significantly less energy than healthy weight peers playing Nintendo Wii Fit Free Jogging (P = 0.017). No significant difference was seen between groups in the energy cost of playing Boxing. Certain AVGs, particularly those that require lower limb movement, could be used to increase total energy expenditure, replace more sedentary activities, or achieve moderate intensity physical activity among children with obesity. There seems to be some differences in how children with obesity and children of a healthy weight play AVGs. This could result in those with obesity expending less energy than their lean peers during AVG play. Please join us at the Driving Toward a Healthier Generation Through Technology and Exergames Workshop in Charlotte, NC AAHPERD Convention. 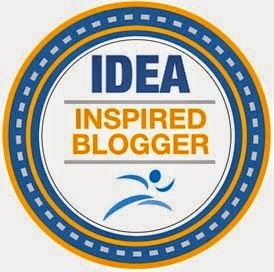 It is truly a collaborative effort showcasing expert practitioners researchers and industry experts all focused on getting our youth healthier. re physical activity in today’s sedentary society. Our panel will lead live demonstrations and competitions on the use and benefits of exergames in schools, fitness clubs, and at home. Don’t miss your chance to meet the leaders in exergaming from education, health care, advocacy, fitness, research, manufacturing, and marketing. Playing Team Fortress 2 has never been healthier when you combine it with the Omni treadmill and the Oculus Rift virtual reality headset. It sort of reminds me of the Virtusphere but obviously for the home user and not a commercial training. I would love to conduct studies on energy expenditure, perceived exertion, and attitudes towards exercise, and playing the games especially with peers. 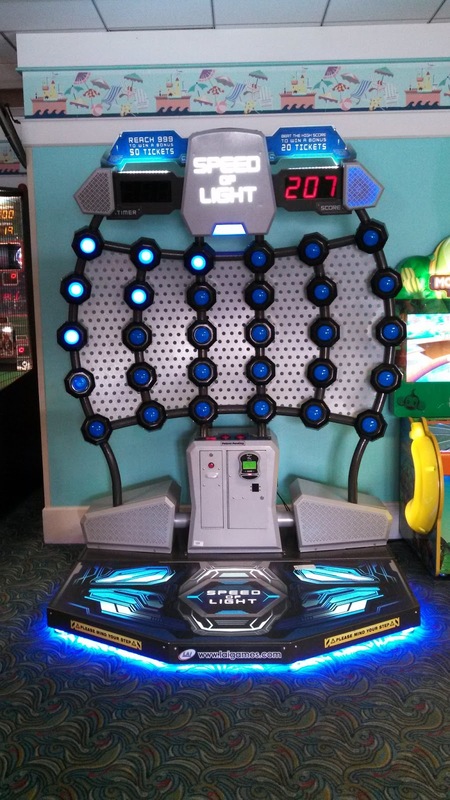 I had a blast finally getting to play Speed of Light arcade exergame at Walt Disney Yacht Club Resort recently. 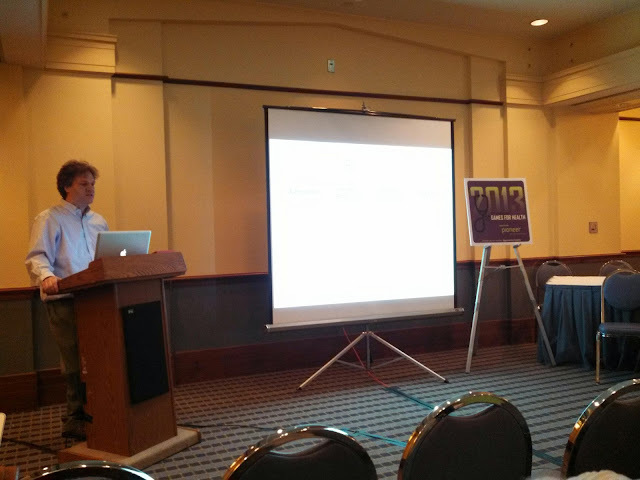 A big thank you again to Dr. Jay Bernhardt, Rebeccah Mercado and staff for the invitation to speak at the 2013 Digital Health Communications Extravaganza. To warm-up for a couple of my workouts I tried these exergames and really got a pretty good sweat going. Check out the video and let me know if you've tried Speed Of Light before and if you have any suggestions to play it differently. Would be neat to consider having foot sensors to increase potential interactions and energy expenditure. Would also be neat to consider proximity sensors added to button switches (a la FitLight). In single player mode (using all sensors), because I was so close to the lights, it was hard to see the lights in my periphery especially at the extreme edges.I had to keep pulling my head back then scan to the sides. I also had a hard time hearing whether or not I hit the right lights. It was a terribly loud arcade with machines pumped up way too high to be safe. I also found my hand got sore because the lights were a slightly domed (cupped) and when you're striking several hundred targets over a couple of minutes....you can really feel it. I wonder what a flat target surface would be like like the Touch Wall / T-Wall exergame. 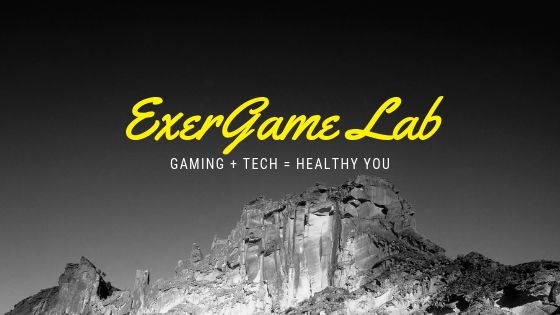 Click here to explore more of ExerGame Lab's archived posts involving Arcade Exergames. 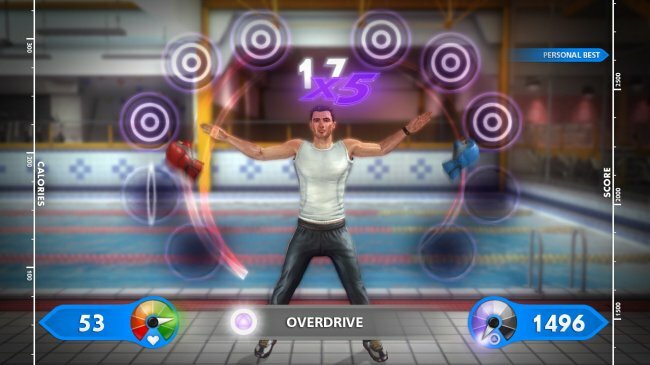 Its been a couple of years since we heard the announcement of Coldwood Interactive's exergame Move Fitness title, but this week we'll see the title actually launch in the US. With 2 years to develop a base and refine the product for the US market, I hope there were some changes to some of the activities (including basketball shooting. Unfortunately, worldwide sales of just 17,000 and a Metacritic score of 61/100 pales in comparison to the behemoth (Wii Fit) in the fitness gaming / exergaming arena.